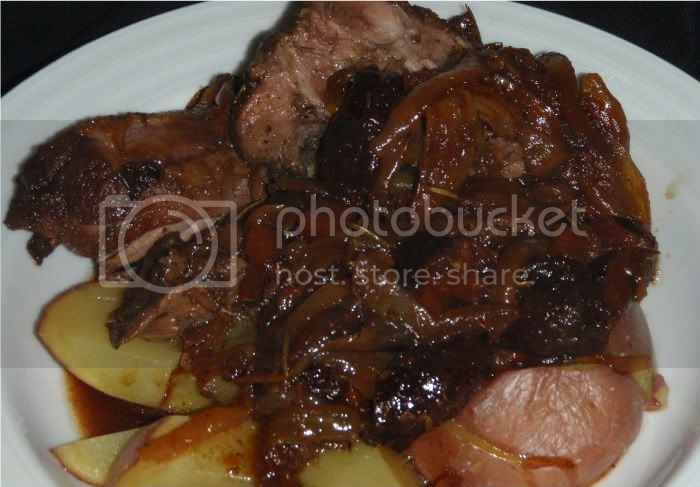 This recipe combines a recipe found at A Year of Slowcooking and another found FamilyFun.com. I added carrots for extra sweetness and mixed in onions. Basically a tagine--really yummy! 1) Place all veggies in the bottom of the slow cooker. 2) Rub meat generously with dry spices. 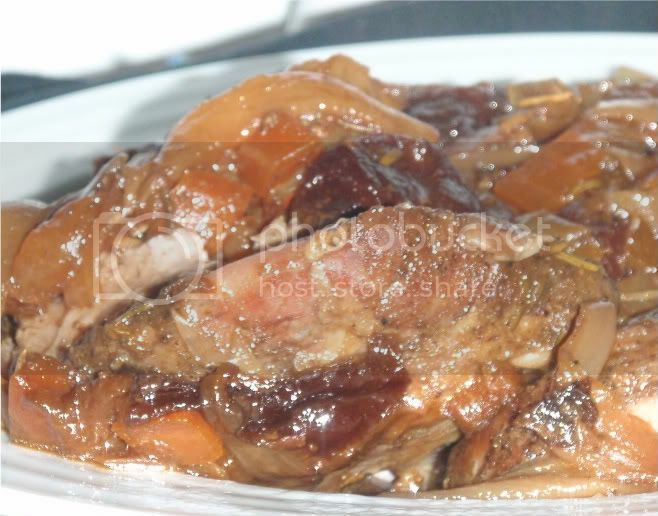 3) Place meat on top of veggies and pour over prunes and liquid. 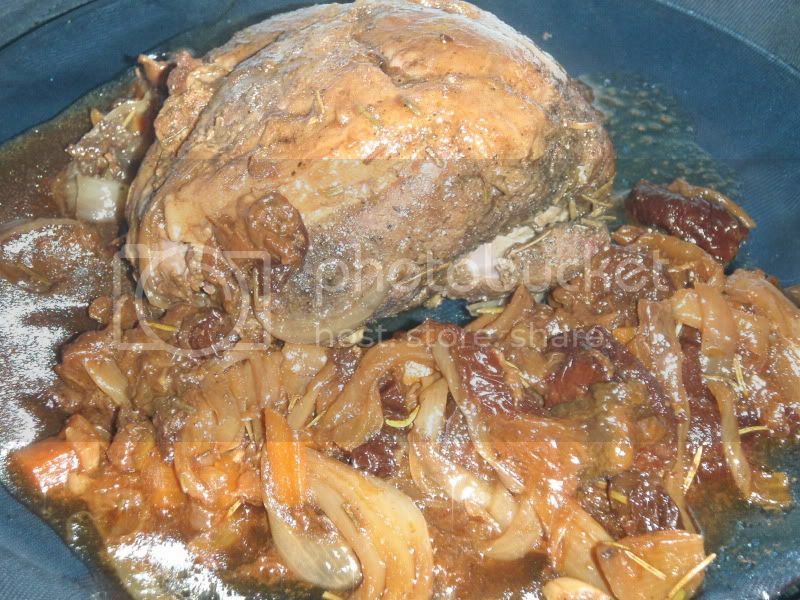 4) Toss in a cinnamon stick and cook for 6-8 hrs on low until meat is tender. Serve over your choice of starch (I used potatoes because I was out of couscous and quinoa) with a generous spoonful of fruit and veggies. I'd estimate 4-6 servings.